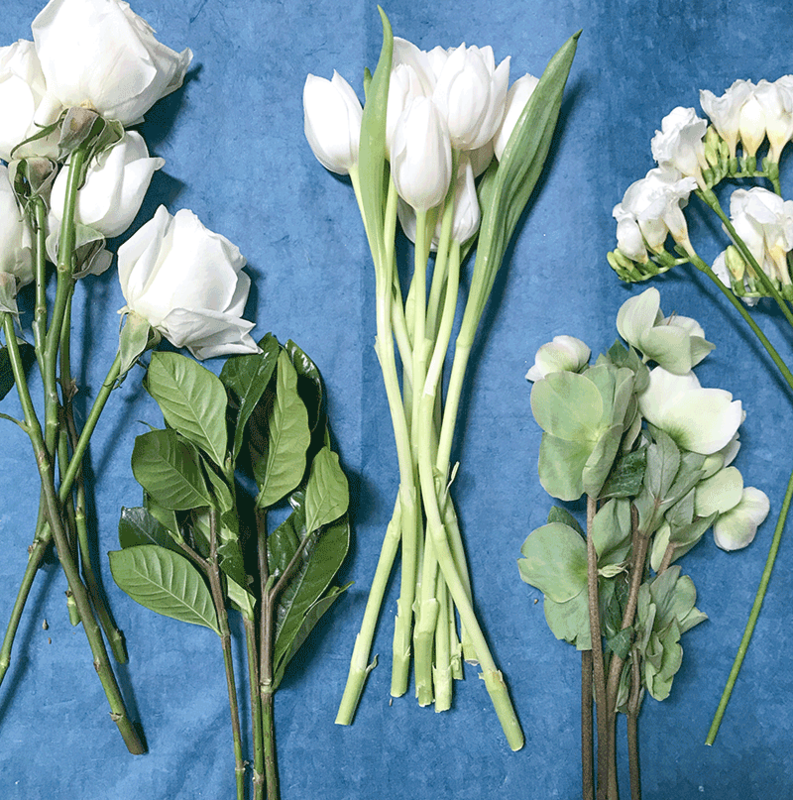 We are so excited to share a recap of our first Spring wedding flower rescue of 2019 with you! Check out the full story and lots of photos below. 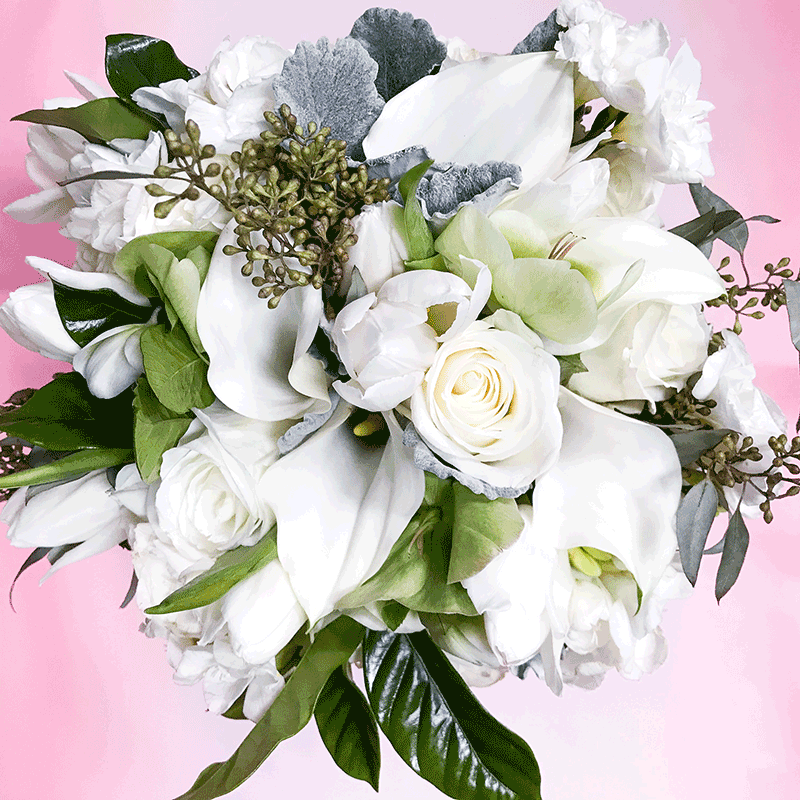 Karen's Bouquet - including roses, calla lilies, eucalyptus, dusty miller, and tulips. Our signature White Tea + Ginger 01. It started with the bouquet. We picked it up, took it back to our studio, and deconstructed it. Then we processed and dried the petals and leaves, and got to work on creating the products. And we customized the labels for even more of a personal touch. The result? Stunning gifts, beautifully packaged, and ready to give to Karen + Jake's VIPs.